So Monty, what is the Great Sardine Run? It’s a natural phenomenon that happens off the Eastern Cape every May, where thousands of sardines mass in the shallow water. In terms of sheer biomass, it’s the biggest migration the world has seen, even greater than the wildebeest on the Serengeti. Yet nobody knows why it happens. What we do know is that by summer the Eastern Cape will be swarming with sardines and predators looking for a feast. Marine biologists estimate around 104 species of shark and 18,000 dolphins turn up. So I pitched the idea to Land Rover that we fire some boats through the surf and get right into the middle of the action. Amazingly, they agreed to it! For two weeks in July 2015, a group of scientists and I were quite literally chasing sharks along the South African coast. In terms of answers as to why the Great Sardine Run happens, sadly not. There’s a theory that many years ago a shoal took a wrong turn and spawned their young sardines there. Now every year, the next generation returns to where they were born. Kind of like a genetic memory. But it was a fantastic opportunity to speak to some very learned people on the matter. What was the highlight of the expedition for you? The number of predators we encountered. We saw loads of sharks and whales. One day, we followed this super pod of 4,000 dolphins. We got ahead of them in the speedboats, and dived into the water to watch them swim over the top. It was just incredible, looking up and seeing this tidal wave of dolphins skimming along the water. Hands down the best experience of my life – after getting married and having a family, of course. What inspired your passion for the ocean? It’s something I’ve always been fascinated by. 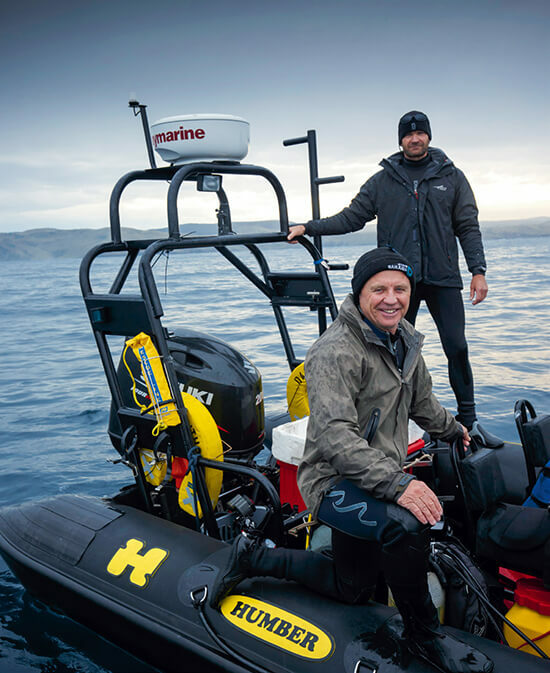 Growing up, I used to watch Jacques Cousteau programmes on TV – that definitely ignited my interest. My mum says I was obsessed with becoming a scuba diver and exploring the seas, so I guess that early passion just grew and grew. What’s the significance of marine exploration in the modern world? It’s the last frontier, isn’t it? We’ve only explored 5% of the deep sea. Who knows what new things we’re missing out on. I also think it’s easy for people to become too wrapped up in technology, and forget that there’s a whole wonderful world out there just waiting to be explored. The amount of people, parents particularly, who come up to me and say there’s no wilderness near them, or no natural places to explore. I tell them to drive to the sea. Throughout my career, every dive I’ve done has been different. There’s just something about connecting with an environment that you know hardly anything about. You’ve got no idea what’s going to swim past you. It’s the ultimate wilderness. "We’ve only explored 5% of the deep sea. Who knows what new things we’re missing out on?" Scuba diving has always been a passion of yours. Are you concerned about its impact on our oceans? Personally, I think it’s a good thing because it exposes people to an environment they would never have encountered before. In 2012, I presented a programme for BBC2 about the Great Barrier Reef and, even after a lifetime of diving, that place just blew me away. They have sacrificial areas where they know divers will hammer it. It’s a necessary loss if it inspires at least one more person to care about the environment. I’d really like my children to grow up and experience a reasonably pristine marine environment. With the amount of garbage polluting our seas at the moment, that looks very unlikely. It’s sad to think that we could be the last generation to enjoy the sea as it is now. How did you realise your dream of becoming an explorer? I started life in the Royal Marines, but left when I was 29 to study Marine Biology at the University of Plymouth. 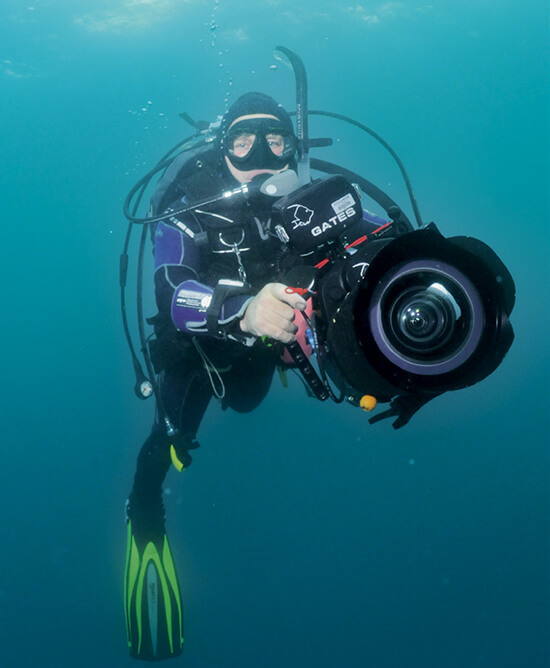 To fund my degree I started running diving expeditions for scientists and adventurers. In four years, I circumnavigated the globe four times, and led an expedition to a sunken city off the coast of India. In 2002, I was awarded the Bish Medal by the Scientific Exploration Society, which gave me the push to start my own expedition company. Did you always plan to become a broadcaster? TV is just something I kind of fell into. In 2008, BBC2 asked me to present the Great Escapes series, where they packed me off to the Scottish Highlands to live like a beachcomber. It was the opportunity of a lifetime and opened up so many great opportunities for me. I’d never have been able to establish my Great Escapes eco-tourism business without it. 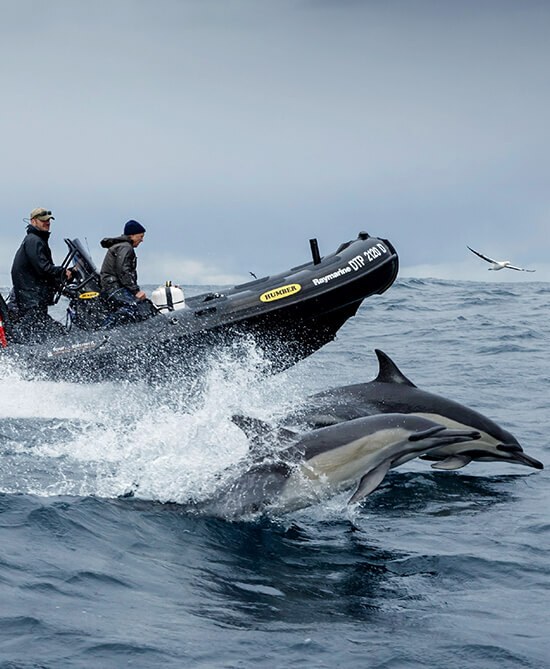 For five years, we’ve been running speedboat trips out of Devon and all around the UK to raise awareness about the marine environment. I’d have to say South Africa. I love Cape Town. The diving there is some of the most spectacular in the world. The Aliwal Shoal reef off KwaZulu-Natal is probably the best diving spot. It’s non-stop adventure from the minute you pull on your wet suit. South Africa and the Great Barrier Reef are great for those sorts of challenging dives. Monty’s latest documentary The Great Shark Chase will air on Discovery Channel later this year. Has Monty inspired you to get underwater and explore? Speak to one of our Travel Experts today about our range of watery holidays, including our Great Barrier Reef in Depth Journey.